Originally I was planning on an April trip into Yellowstone but I wasn't able to venture into the park until the last part of May. Anyway after a 14 hour drive I made the West Gate just after 4am. I decided to drive across to the Northeast Entrance Station taking in the sights along the way while checking trailhead conditions. Not a creature was stirring as I made my way past the Norris intersection. Finally a foodservice truck passed me going southbound just north of the intersection. At this point I had been on the road 16 hours with a short break at a rest area and thought it was a good time to pull over. Just past Twin Lakes & Roaring Mountain I pulled off onto the shoulder just before the start of the construction. I stood on the passenger side of my vehicle looking across to the west side of the road when I heard some movement behind me. 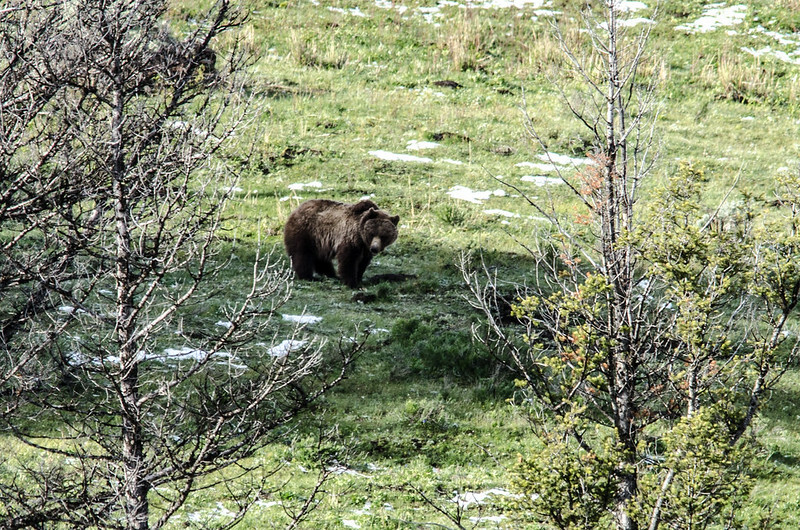 On either side two small grizzly cubs ventured out both behind and in front of my suv. I maneuvered around my vehicle shutting the hatch and jumping into the driver's seat. Both were intent on digging into the soft shoulder disregarding me. I took a few photos with my long lens attached doing what I could to capture the moment quickly. 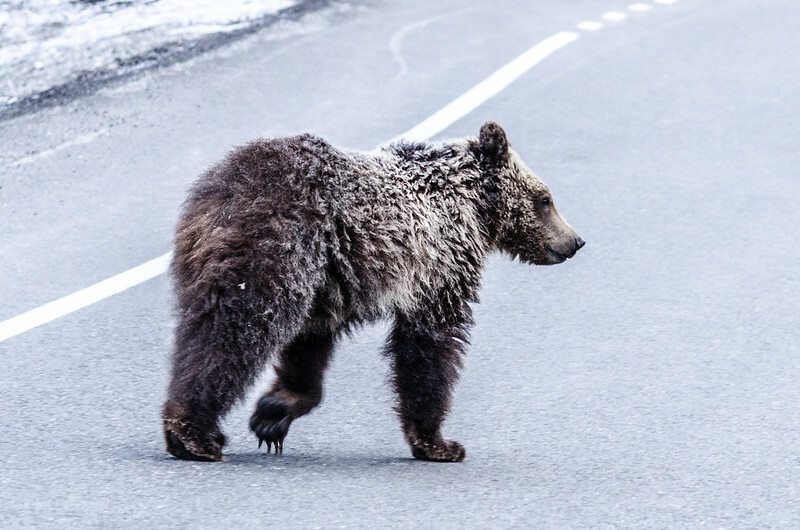 I moved forward 50 feet and put my hazard lights on as the two bears moved out into the road just shy of the curve. After watching them I was able to determine it was a skinny sow and cub. Through other discussions my understanding was they were most likely hazed the previous night from the Norris Campground. I hung out on the curve for thirty minutes hoping my hazards would slow approaching vehicles. 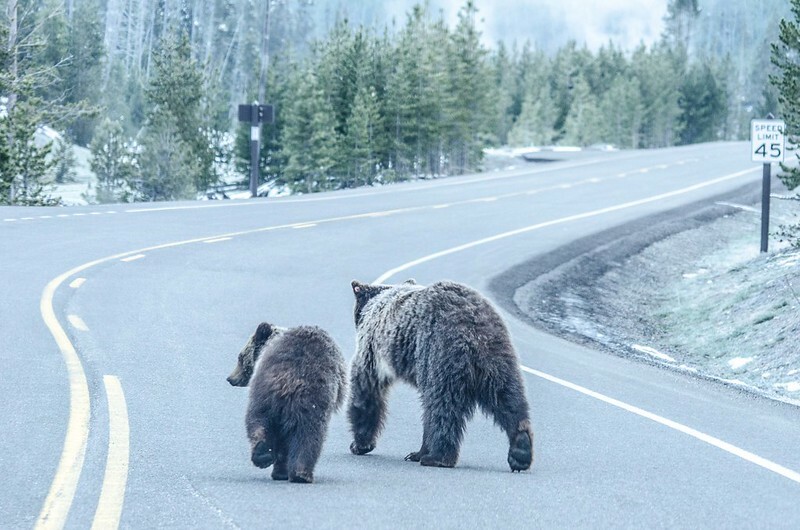 Finally both sow and cub scampered up the road. Anyway it was a good trip with good hikes. Attaching a few other photos. I'm glad the Forum is back up. Last edited by outdoorz1 on Fri Aug 04, 2017 8:35 am, edited 1 time in total. 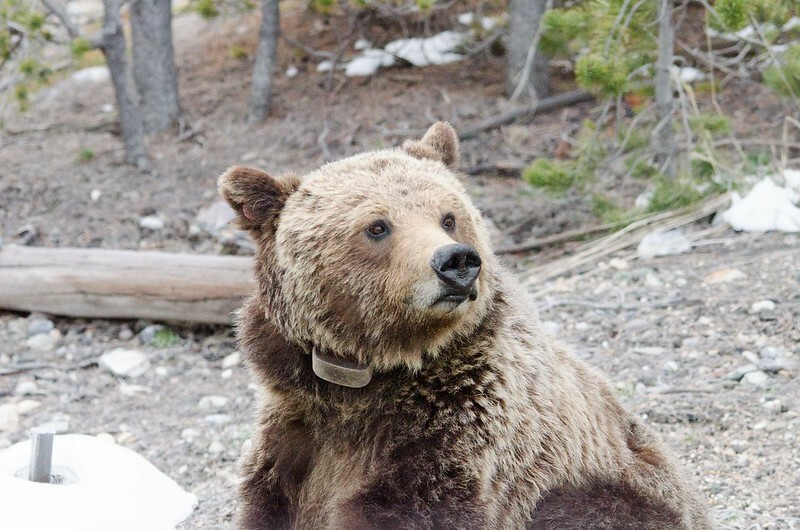 Wow, a VERY close encounter with grizzlies -- very cool! 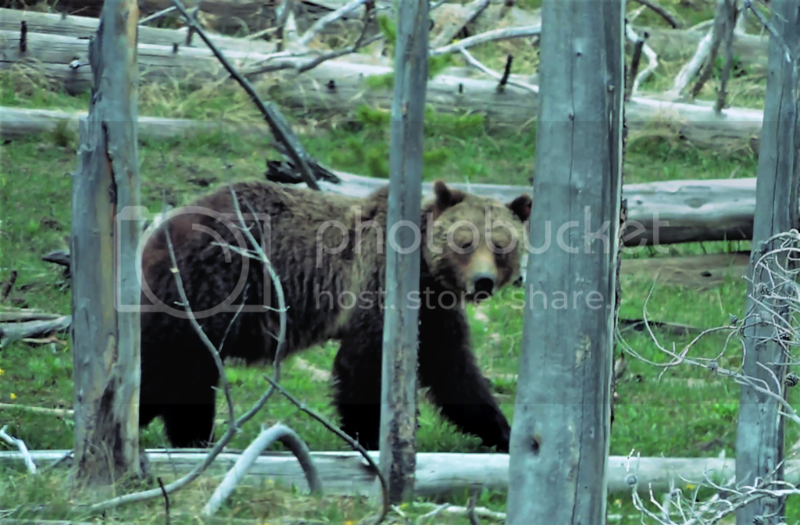 We may have seen the same "skinny sow" and cub as we exited the park (at least, a couple of griz in the same area that look a lot the same as the ones in your pics) back in early May. Great photos! Thanks for your report. Jeff, Great pics and exciting encounter. I was in park around same time late May as you were and also got caught in that horrible traffic jam. I was changing lodging from West Yst up to Gardiner.....It took close to 7.5 hours just to make it to Mammoth!!! Glad you had some good hikes. I did too, but always a surprise....I planned to hike Cygnet Trail south down to Hayden Valley. Got to the TH, geared up, started in and quickly lost the trail up to 2 ft snow. Anyway, things usually work out. On a venture later that day, this sow had eyes on me as her yearling cub was catching up. Glad your trip afforded some fun and adventure too. however this energized me for the remainder of the day. I caught another sow and cub near Lamar Canyon west. My estimate would be that sow outweighed the one that surprised me by over 2:1 if not more. Watching the one in Lamar Canyon she strutted with a purpose as if too say don't mess with this gal. Dorothy I hope you had a good trip. Hopefully I'll have some more pictures to post from a planned September trip as I plan to hike Pelican Valley which has always yielded surprises for me.